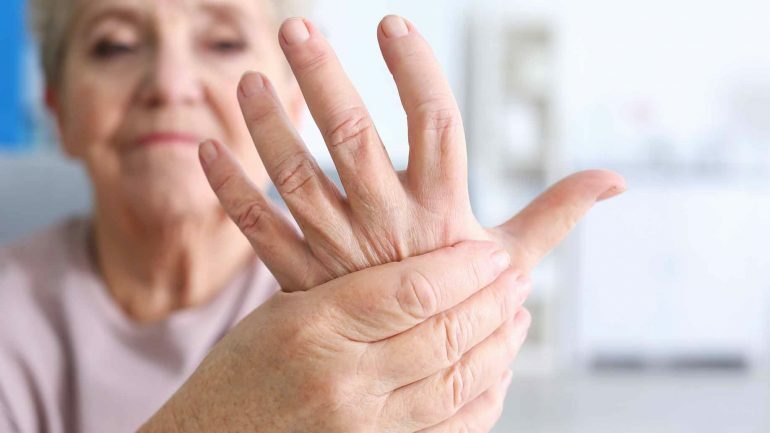 In addition to muscle aches and joint pain, fibromyalgia patients also tend to complain of stiff hands, especially in the early morning. Fibromyalgia stiff hands can impose several restrictions on the movement of your hands that can affect your daily routines. How Exactly Does Fibromyalgia Stiff Hands Feel Like? Tightness in the hand muscles, most especially when you wake up in the morning. Early morning, the stiffness of the fingers and hands will become unbearable. Tightness of the hand muscles after a prolonged period of long drive, rest, sitting in the office, typing, afternoon naps, etc. Throbbing pain in the hands, especially in the joints of fingers. Inability to extend the finger joints, which restricts the wrist movements. Skin of the hands feels rubbery and waxy because of the excess collagen production. Treatment of stiff hands can only be made possible if the cause has been diagnosed. Nevertheless, specific home treatments can also help to provide for a temporary relief from the symptoms. Paraffin bath is one of the effective treatment options that you can easily carry out in your home. Simply warm a paraffin wax in a pan and then dip your hands in it for up to 20 minutes. This treatment can help to increase the flow of blood to your hands and finger joints, which reduces the stiffness on your fingers and hands as a result. People with osteoarthritis can also benefit from this treatment. Other treatment options are physiotherapy exercises that can help to improve the functionality of muscles and joints in the hands. Surgery can also help in some cases where non-surgical methods will not work. However, elderly people are less likely to benefit from surgery because of the fragility of their bones. If the stiffness of the hands is a result of overusing a certain muscle group, then surgery can be very useful. Although stiff hands will not lead to any serious consequences, it can definitely affect your way of living. The best way to prevent the occurrence of stiff hands due to fibromyalgia is to take proper preventive measures. Among these are exercising regularly and initiating proper preventive measures the moment you notice even the slightest sign of stiffness in your hands.